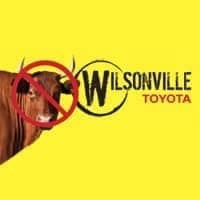 Knowing all of our vehicles inside and out is a point of pride for us here at Wilsonville Toyota. From our auto technicians performing auto repair and Toyota maintenance on on your new Toyota or used car, to your own DIY projects at home, you can be sure that only the highest quality Toyota car parts are used and available. From front to back, windshield wipers to brake lights, we have all the right parts for the job.If you already know what part you need, be sure to fill out our online contact form. But before you do so, be sure to see if it’s listed on our auto parts specials. Or, if you’re not sure what part you need at all, come see us in person. We’re happy to identify the specific component you need here at Wilsonville Toyota. Use Genuine Sightline Wiper Blades!